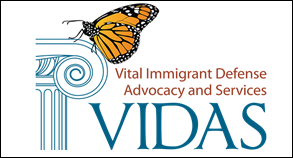 Vital Immigrant Defense Advocacy and Services provides low-cost and no-cost immigration law services, advocacy, and community education, as a non-profit law firm serving the North Bay with offices in Santa Rosa and Vallejo. Its services include conducting deportation defense and asylum cases and obtaining visas and legal residence for victims of trafficking and violence against women, and many other immigration law concerns. Please join us in the Board Room after the 11 am service. Please note that we are on DAYLIGHT SAVINGS TIME TODAY!